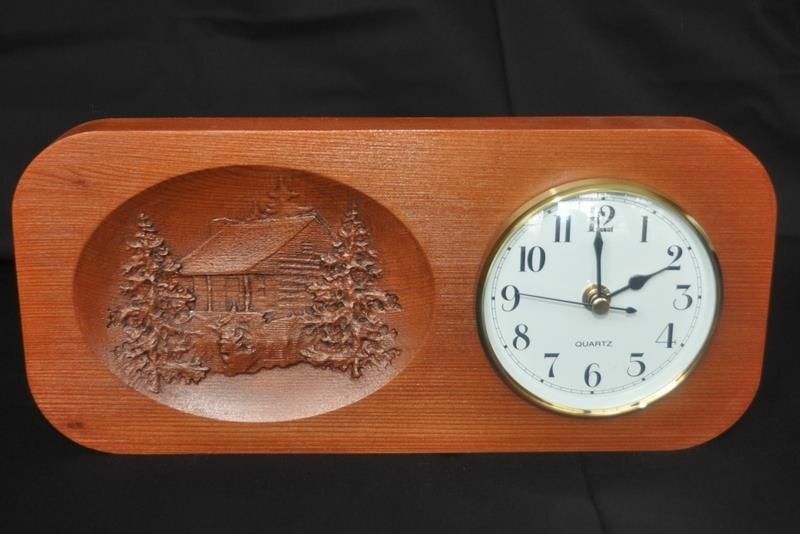 This piece is a decorative clock, approximately 12" by 5". The carving is a cabin with pine trees. The material is redwood and it uses a standard quartz clock insert. This clock would be suitable for any room in the house and would fit in with country decor. We made this specific clock to be hung in a kitchen.